Imagine growing up mere blocks from the beach, but never exploring a tide pool’s ecosystem. That’s what the folks at Thompson Island Outward Bound Education Center thought, too. It’s the perfect time of year to grow your email list. Join our free webinar: Grow Your Email List, Grow Your Nonprofit. They’re using email marketing in their quest for better opportunities for students from under resourced neighborhoods. 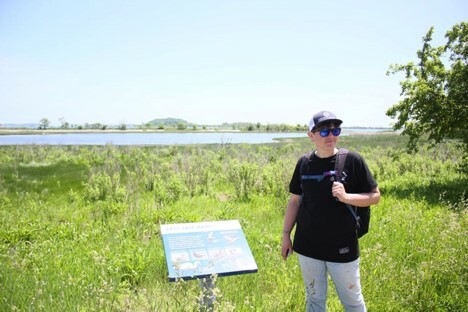 We sat down with Devon, their Corporate Partnership Manager and learned of their mission to “provide a supportive atmosphere for middle school kids to learn outside of the classroom” — the same kids who may have rode a boat for the first time to Thompson Island Outward Bound. As a nonprofit, Thompson Island Outward Bound relies on the generosity of others to help Boston Public School students discover who they are and all they can become. This is possible through a multi-year curriculum that features hands-on science with Outward Bound’s unique approach to character development, compassion and service. They drive involvement with email. Devon sends about two emails a week during the height of their volunteer season and continues to send during the winter months as a means to increase involvement in other areas and stay top-of-mind. 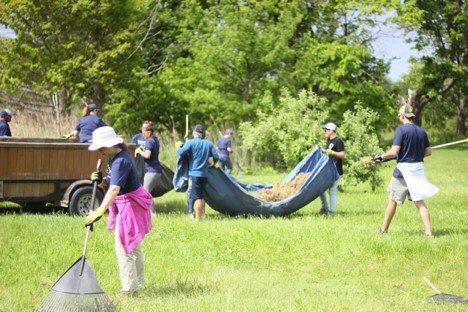 These emails bring in groups of 50-70 volunteers who’ll spend their day gardening, managing trails, and cleaning up. This work directly affects the kids’ programs and allows them the luxury of a well-maintained outdoor classroom. In years past volunteers weeded, organized the tool shed, and set up the camp for special events. Earlier this year a group of volunteers from Constant Contact spent a day raking up Thompson Island Outward Bound’s campus. Our muscles were sore afterward, but our hearts were happy as we witnessed children enjoying their newly tended outdoor classrooms. What tricks does Devon have up her sleeve to maintain volunteers’ interest in Thompson Island? 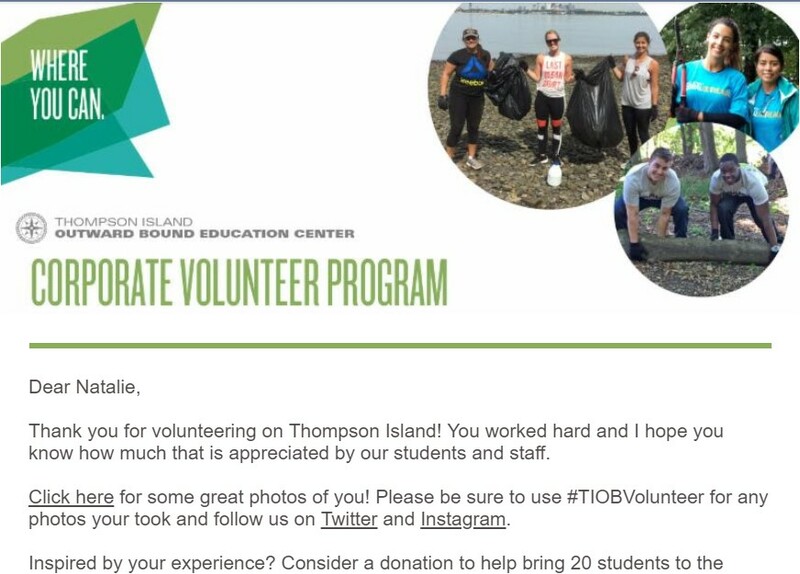 Catchy subject lines that interest the reader, like, “Photos from your volunteer day,” ensure great open rates of 70-100% for Thompson Island Outward Bound. Who doesn’t want to see a photo of themselves, especially participating in a good cause?! Devon’s goals with these emails are to increase volunteer involvement over time, thank them, and share photos. By using strategic subject lines, she’s exceeding her goals. Have faith that there are people out there willing to do good. 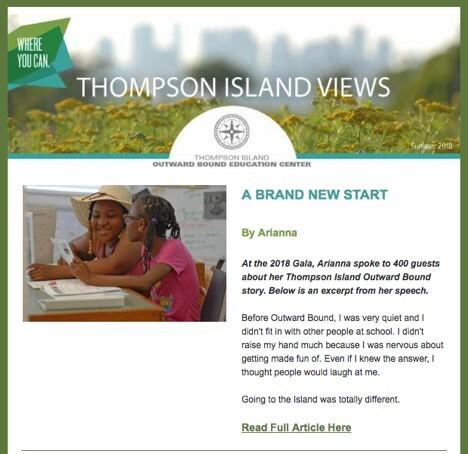 Email marketing can help you connect with them, like at the Thompson Island Outward Bound Education Center. Ready to grow your nonprofit? Join our free webinar: Grow Your Email List, Grow Your Nonprofit.